Telok Blangah is located at Central region of Singapore, District 04. A foreign business area bustling with trade and tourism. Telok Blangah accommodate the new industrial and residential developments like Skyline Residences a Freehold condominium with great amenities. Nearest MRT is Telok Blangah MRT. 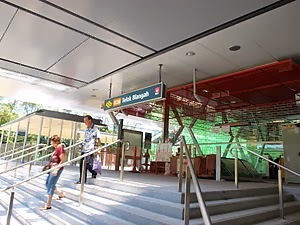 Telok Blangah is well-connected to the rest of Singapore via Telok Blangah Road, East Coast Parkway (ECP) and Ayer Rajah Expressway (AYE). Several shopping malls such as Depot Heights Shopping Centre, IKEA Alexandra and Queensway Shopping Centre are all within vicinity. Reputable school near to Telok Blangah include Blangah Rise Primary School, Gan Eng Seng Primary School, Bukit Merah Secondary School, Henderson Secondary School and Radin Mas Primary School.